The Saskatchewan Curling Club Championships, a province-wide event run by CURLSASK for men’s & women’s club teams, is set to return for the upcoming 2018-2019 curling season with updated rules aimed at increasing participation within the event. CURLSASK is joining several member associations this season in piloting an open registration format for the Curling Club Championships, meaning that any number of teams from a club can enter their respective regional event provided that they meet the eligibility requirements. Clubs can still send their declared champion to their respective regional event if they wish, but other eligible teams from that same club can also enter. The format at the provincial championship here in Saskatchewan will remain the same at two pools of six for both the men’s & women’s competitions. The regional events are set for the weekend of March 8-10, 2019, with the provincial men’s & women’s championship to be hosted by the Melfort Curling Club Mar. 22-25, 2019. For more information or to view the full media release, please click here. 2018 Curling Club Provincial Champions Team Elaine Osmachenko from Moose Jaw. 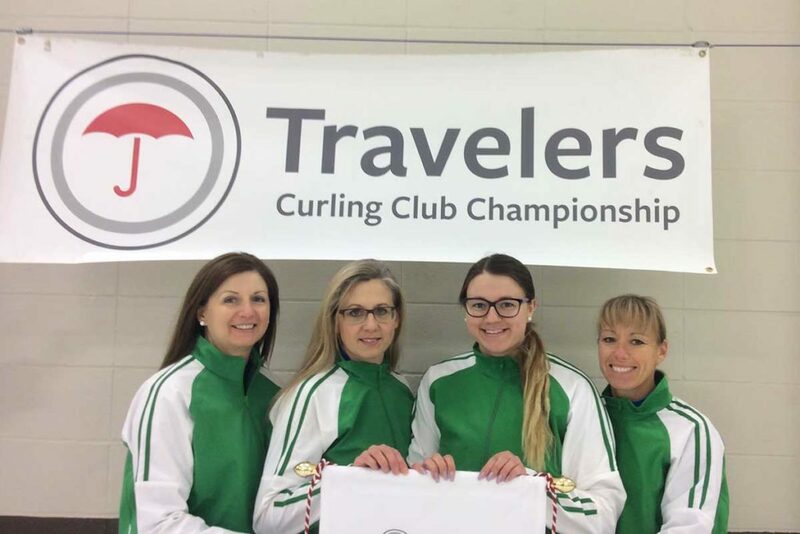 Osmachenko along with Team Kory Kohuch will represent Saskatchewan at the 2018 Travelers Curling Club Canadian Championships Nov, 19-24 in Miramichi, NB.